Rebro Hydraulic Services Ltd, Stoke-on-Trent - Hydraulic Engineers with24 hour callout service. We understand that breakdowns do not necessarily occur between 9am and 5pm and so we offer a 24 hour callout service so that you may continue with your work no matter what time of day or night it is. Our customers can be sure that the work will be carried out to the highest standard but at reasonable rates that suit your budget. 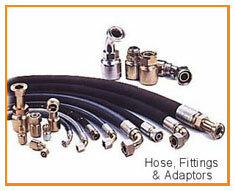 We manufacture our own hoses and fittings on the premises so customers can contact us with their individual requirements and we will design and make parts to their specifications. This bespoke service is very popular, as customers can be sure of the quality of the product. 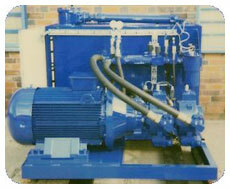 We offer a bespoke service for the design and manufacture of hydraulic power units. Customers are once again assured of the quality and high standards which they come to expect of Rebro Hydraulics and the unit is sure to suit their needs perfectly. We stock a large selection of pumps and valves required for the hydraulics business. Our wide range of makes and designs allows customers to choose the one most suited to their needs. 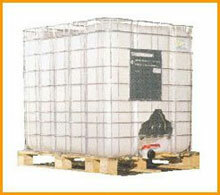 We house a large stock of hydraulic oil in 25 litre, 205 litre and 1000 litre sizes. We supply and repair hydraulic cylinders and pumps. Repairs are always carried out to the highest standards and only high quality parts are used. Our wide ranging stock of new cylinders and pumps is envied by our competitors. All types of oil in bulk or small containers. Our services are second to none, but don't just take our word for it; if we can help with any of your hydraulic needs, contact us and join our broad base of satisfied customers. Copyright © 2007 Rebro Hydraulic Services Ltd. | Web Design by Infotex UK.